Kuala Lumpur is an alpha world city and is the fastest growing economy in the South East Asia. Tourism, real estate, entertainment, insurance, retail and service sector contribute to the economy of the city. Kuala Lumpur is one of the top destinations for prominent global companies seeking to establish themselves in the region. The exponentially growing Kuala Lumpur employment opportunities attract skilled professionals from all over the world. There are a number of e-learning options available to individuals seeking to take advantage of this scenario. KnowledgeHut is a leader in online business courses, offers CSD Certification in Kuala Lumpur for aspiring software developers in the scrum framework. Information technology has been on the ascendancy for the past few decades. The scrum framework is increasing in popularity and certified scrum developers are highly sort after by software firms in Kuala Lumpur and the world over. The number of IT start-ups in Kuala Lumpur has been on the rise and certified scrum developers are much sorted after. 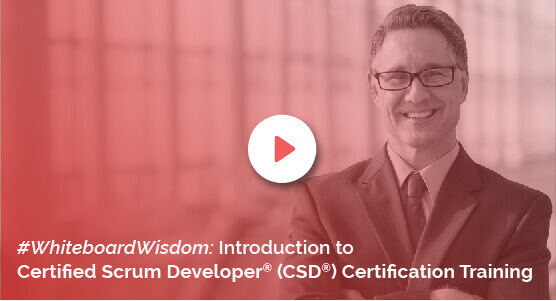 The course in Certified Scrum Developer Certification is ideal for entry and mid-level professionals looking at establishing themselves in software developing in the scrum environment. CSD Certification in Kuala Lumpur is designed to give the candidates total exposure to both the fundamentals and the latest developments in the scrum framework. Pursuing CSD Training in Kuala Lumpur will definitely provide you with a competitive advantage over your peers. The online modules of the CSD Course in Kuala Lumpur are tailored to be comprehensive and the extensive online training given to candidates will transform them into self-assured individuals who can expertly navigate their way out of issues that could potentially arise in your workplace. Certification in software building in scrum environment will definitely add to your existing professional repertoire and help you get ahead in your career. The formal training provided by KnowledgeHut will help you stay ahead of the curve and the price of Certified Scrum Developer Training in Kuala Lumpur is highly reasonable. CSD Certification in Kuala Lumpur from KnowledgeHut is definitely a step in the right direction for you.